If you have one or more missing teeth then get in touch with us today to see if dentures are a viable option for you. Dentures may be complete or partial. They are used to replace missing teeth and can be removed without any trouble. 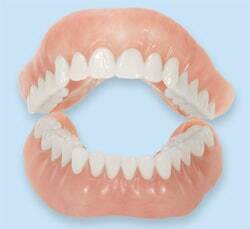 Complete dentures are used when you have no healthy natural teeth, whereas partial dentures are used to replace only a few missing teeth. Over 36 million Americans suffer from complete tooth loss and about 120 million have one or more missing teeth. 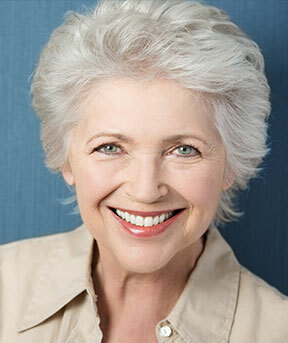 If you suffer from tooth loss then you should consider dentures as they are a reliable option for missing teeth. They are painless and easily removable, which makes them very convenient. You may remove dentures to eat, sleep, and brush, which is one of their biggest advantages. Moreover, they’re also very easy to clean and maintain and can last for about eight years. Our dentist will first prepare your mouth for dentures. You will need complete dentures if you have no healthy teeth, and partial dentures if you have at least a few natural teeth that are also healthy. In some cases, we’ll extract the remaining teeth if they are not healthy or not reliable enough to support partial dentures. It may take gums some weeks to fully heal, after which the dentures may be placed inside the mouth. The cost largely depends on the severity of the case and the type of dentures selected. In some cases, your insurance may cover some part of the total cost. We will work with you personally to help you understand the costs as they are unique to your situation. Why Should I Choose Bobby Jivnani for Dentures in Texas? We are among the most well-known dental practices in Richardson. Our dentists are experienced and will answer all your queries regarding dentures and other dental procedures performed at D&K. Call us to start your journey towards a perfect set of teeth.